More suburban families than ever are raising chickens instead of planting gardens. There are obvious reasons, like fresh eggs, but that is not the only reason some families are investing in a few chickens to keep in their backyards. If you are considering raising chickens in your backyard there are many good reasons to do so. People are paying more attention than ever to where their food comes from and turning to home grown vegetables and fruits to make sure their food is locally sourced, less expensive and organic. It is a trend that has been around for decades, but it has left eggs out of the equation in the past. 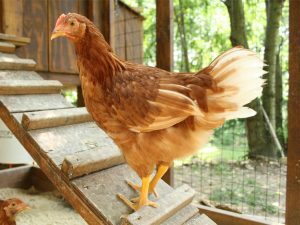 There is a growing movement, however, to educate people about the benefits of building a backyard coop and raising a few chickens. In doing so you can a constant source of fresh eggs and take advantage of the bounty offered by a small flock of chickens. This is hands-down the most obvious reason for raising chickens. You can have fresh eggs every day if you have a small flock of chickens. You can also control what your chickens are fed. Skipping the genetically modified feeds and grains that were grown with pesticides, and giving your chickens clean grains and fresh produce creates a nutrient dense egg and healthier chickens. Eggs from your own, free range chickens have more nutritional value than eggs bought at the grocery store. These cleaner, healthier eggs have much more Vitamins A and E and Beta Carotene than those from factory farms. Free range chickens also lay eggs that are richer in Omega 3s. You are also improving your diet safely and inexpensively when you consume your own eggs. You do not have to worry about salmonella outbreaks or damaged eggs and keeping chickens is inexpensive once they are established. There are startup costs such as your initial investment in chickens and equipment such as a coop, feeding system and feed, but most of the costs are one-time investments. After that, the minimal cost of feed is more than balanced by reduced household waste, rich, fertilized soil and inexpensive eggs. You will also be spending less money on pesticides and weed killers. Having backyard chickens results in overall savings for your family. If you have a garden, you will love having access to lots of chicken manure with which to fertilize your plants. Because of the many nutrients in chicken droppings, your flowers will be lush and vibrant and your fruits and vegetables will flourish. You can use it directly or add it to your compost. Chickens love searching for and eating all kinds of bugs and grubs. No more pesticides or chemicals will be needed to keep your backyard bug free. Chickens love eating slugs, ticks, grasshoppers and beetles. They are some of the best pest catchers around. You will not only have fewer bugs, you will have fewer weeds if you have a small flock of chickens. Chickens will get rid of weeds that pop up in your lawn and garden by scratching and clawing at the ground then eating the weeds. However, chickens are not adverse to sampling some of your veggies from time to time, so supervision is warranted. Americans waste a lot of food. Chickens, however, will eat almost anything. You can feed your backyard chickens your table scraps such as vegetable and fruit peels, cooked legumes, rice and beans, pasta and more instead of tossing it in the trash. Be sure you read about what foods are good for your chickens and what are not (animal products, meats). If you live in the suburbs or a small town where you are able to keep chickens, you can get a taste of country living without having to leave home or move away from your own neighborhood. Chickens are content with a small yard and minimal care, so you get some rural living without breaking the bank. Each year more people are raising backyard chickens, forming a thriving network of people who help each other out, give advice and talk about how they are improving their backyard flocks. You can do a quick search on the internet and discover forums, Facebook groups and other avenues for people who raise backyard chickens. Sharing your passion with others is a great way to increase your social circle and make new friends who have a common interest. Mentioning your backyard chickens is also a great ice breaker at parties or meetings. If you have young children, their friends will be eager to come over and check out the chickens and learn more about them. There are so many lessons you and your children can learn from keeping backyard chickens. In addition to learning about responsibility, children learn about agriculture, nature and how to care for animals properly. Chickens are doting mothers who care about their eggs, turning them and keeping them warm. Chickens have complex lives and will quickly learn to recognize the people who are caring for them and respond to them. Chickens play, eat and have routines. They are fun to watch and exhibit amusing antics children enjoy watching. Everyday life is increasingly stressful and fast-paced, impacting all facets of your life. Reducing your stress levels can improve your health, your outlook on life and your energy levels. Studies have shown for years that caring for animals reduces stress by lowering blood pressure and helping you focus on something peaceful and positive. Most people with backyard chickens form a strong bond with their flock, coming to see them as pets as well as a source of eggs. Keeping your chickens happy can be a relaxing endeavor as you feed them, make nesting boxes and perches and care for their health.